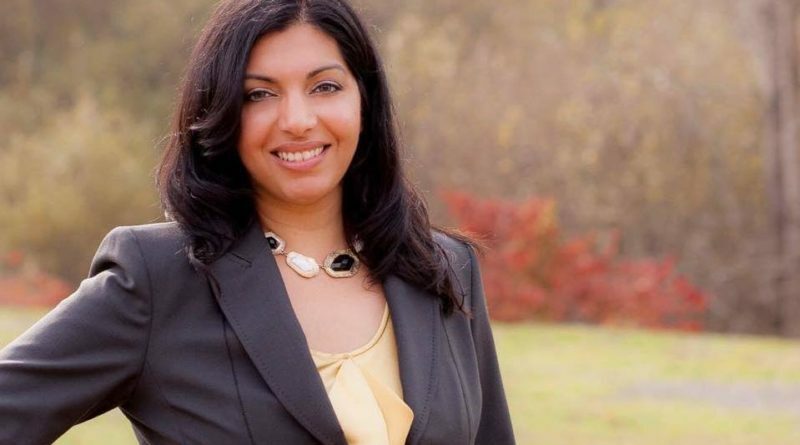 Elevated Nation’s Dan Gross recently caught up with attorney and cannabis activist Shaleen Title, who helped write cannabis legalization bills in Colorado and Massachusetts. Title and her colleagues in the Minority Cannabis Business Association have just released a 27-page model legalization bill. Tell us about the model legislation you’re all psyched about. The Minority Cannabis Bus Association, several of us there, have been secretly working on this for years. It’s a 27-page model state level legalization bill. Anybody who is interested in what a model bill looks like can go look at it. It’s for the public. We want people to take it to their legislators and talk to their legislators about it. People can do what they want with it. How did you get involved in marijuana reform? I started in college at the University of Illinois when I got involved with Students For Sensible Drug Policy. I was a business major, accounting specifically. I was involved with all the progressive organizations as a hobby, but I expected to go into business. I wanted to learn more about marijuana legalization. We had a speaker come from the Illinois ACLU who talked about the racial disparity for drug arrests, specifically for marijuana. A black person is 57 times more likely to be incarcerated than white person for marijuana arrest in Illinois. I became very serious about drug policy and how to change it. Went to law school then worked with the Law Enforcement Action Partnership and then went to Colorado and got involved there. You’re written a lot about making the cannabis industry more inclusive of women and people of color, and even started THC Staffing, helping those same people find work in the industry. Have you found that women and people of color are better positioned now in the legal cannabis landscape? In Massachusetts that was the lens I looked through in every section of what we drafted. I started THC Staffing group with my friend Danielle Schumacher because while policy is very important, businesses and organizations can take steps on their own to become more diverse. And we can help them with that. There are ways to be more inclusive. One thing people are sometimes confused about is when we talk about making the industry more acceptable, we don’t mean specifically about laws for minorities. We are talking about ways to make it more accessible to everyone. White men may also be affected by high barriers to entry, high application fees, or a previous conviction that is keeping them out of the industry. Have you noticed a schism or disconnect between underground cannabis workers, a term I prefer to drug dealers, and medical and adult-use communities? Yes, absolutely. There is a tension there between people in the legal market and the underground economy. When legalization passes there’s not much attention paid to the fact we are putting them out of business. Or when it is it’s saying, ‘Let’s put those drug dealers and cartels out of business.’ A better way to go about it would be a way to help people in underground economy to transition those skills into a legal business that is regulated. There’s a group in California called Supernova Women that does that. They hold big seminars for people to help them get into the legalized cannabis industry. I don’t believe it’s happened yet, but do you envision a way in which part of a state’s cannabis legalization policy would allow for people currently incarcerated for possession to get out of jail? We have explored ways to include an automatic commutation or pardon for people who have been incarcerated for cannabis offense so they could be let out of prison. The problem is the states that have legalized have all been ballot initiatives so far. You typically can’t put that kind of legislation into a ballot measure. But it could happen in legislature. I think New York could be a good candidate for that. The state house and state senate would have to work together to write a bill to allow people in to be let out and the governor would have to approve it. Are you, as I am, a little suspect of people who work in the cannabis arena who don’t seem to be personally familiar with marijuana or know much about it? A lot of newcomers are totally genuine, maybe they’ve seen a family member who has been helped and they’re interested in business side too but they will be discreet and professional they’ll come to meetings, they’ll learn and they’ll ask questions. And they stay involved. But you also see people who show up with the attitude like, ‘Hey, I’m here from the corporate world to save all you stoners and make you professional,’ and they burn out after a little while.